Enjoy the benefits of worry free warmth when you choose Automatic Oil Delivery. When you choose Automatic Oil Delivery this means you never have to check your tank gauge. We take the hassle out of heating your home or business by monitoring your usage. We use a computerized degree-day system to ensure our customers stay warm. Factors such as weather, burner efficiency, and customer usage are analyzed by Bursaw to ensure you receive your biofuel in a timely manner. Our customers who choose Automatic Delivery will remain on Automatic Delivery unless they notify us that the wish to change their delivery status. Enjoy the flexibility of ordering a specific amount of biofuel at a time of your choosing when you pick this option. Some of our customers prefer to order biofuel according to their own varying needs and schedule. 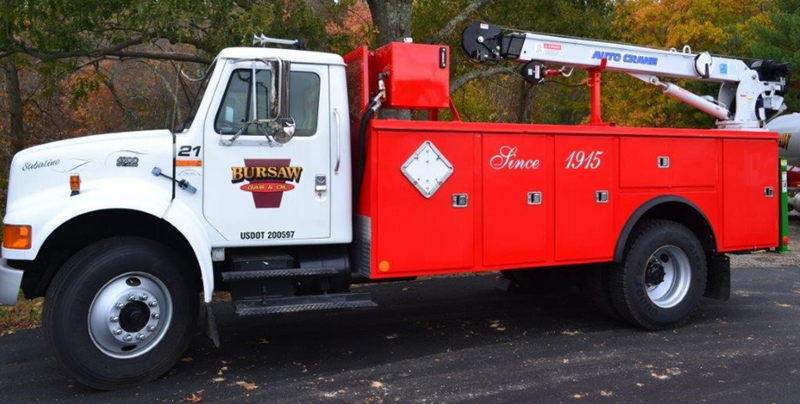 Bursaw’s Will Call biofuel deliveries are subject to a 150-gallon minimum. Customers who choose this option need to give a 48hr minimum notice for delivery and call when tank is at ¼ full. Our drivers appreciate path to fill pipe to be free and clear of snow and ice. * Price reflects daily net 10day cash or check price. ** Gas discount only on unleaded gasoline, restrictions may apply.